Cacao has played an essential role in the intricate culinary traditions and customs of various ancient and modern cultures around the world. However, it is its numerous health benefits that attract modern day consumers. 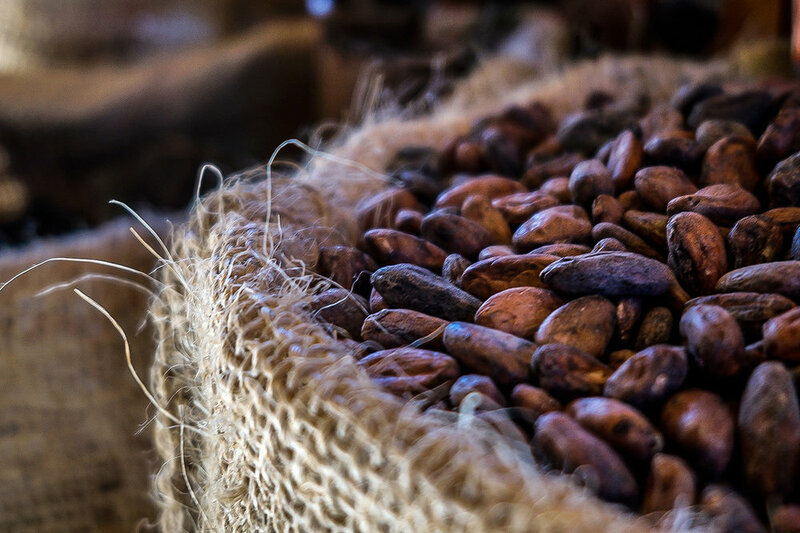 The healthiest influences of cacao drinks have been accredited to antioxidant tocopherols, procyanidins, flavonoids and other compounds, indicating assertions that cacao beans can aid in fighting hyper-tension, circulatory diseases, and help prevent cancer. Antioxidants have several advantageous health effects in invigorating the immune system and shielding the body against all forms of cancers and circulatory diseases. Cacao beans are also extremely rich in magnesium. The mineral Magnesium is responsible for over 300 biochemical reactions in the human body. Cacao seeds hold 272 milligrams/100g making it ideal for healthy consumption. Magnesium is crucial to muscle structures and the functioning of nerves. It helps in keeping the rhythm of the heart stable. On account of its high iron concentration, cacao helps in fighting anemic symptoms as iron helps in the manufacture of Red Blood Cells in the blood stream. Cacao beans have also been used as a cure for diarrhea owing to the fact that it contains polyphenols, which impede intestinal secretions. Cacao beans also have a remarkable ability to act on some neurotransmitters in the brain which aid in enhancing the moods of people. Cacao kindles the brain to give off certain neurotransmitters, like ecstasy, that can activate emotions. Phenylethylamine, a chemical that is produced in our bodies naturally when consuming cacao can cause the pulse to accelerate, providing the consumer with extra attention and alertness. Raw Cacao packs more calcium than cow milk does. Cacao has 160 mg calcium per 100g as compared to the 125mg/100ml ration of cow’s milk. Hence cacao also aids strengthening of bones.